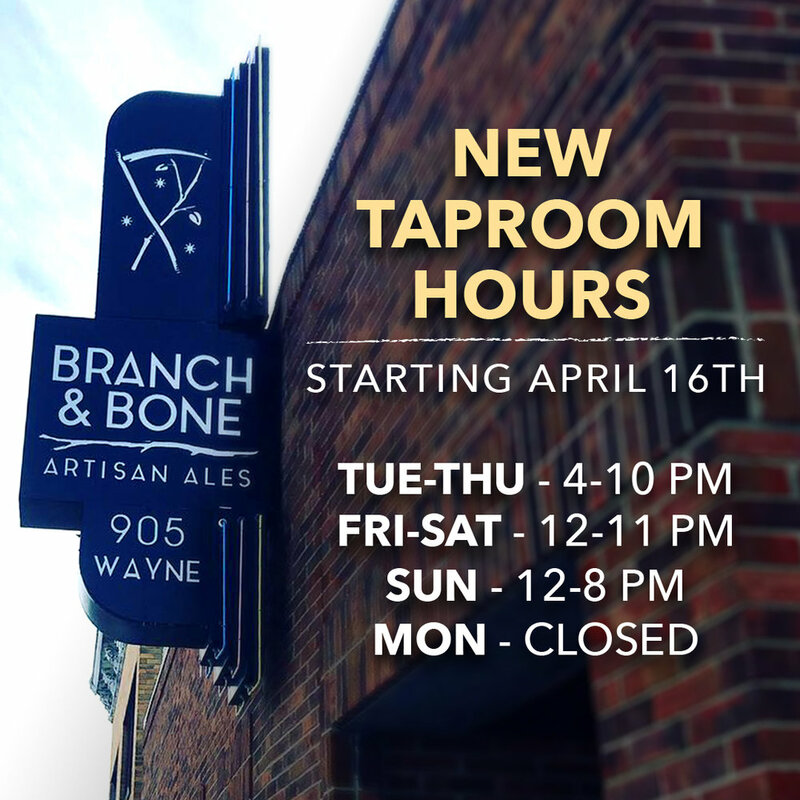 Spring has sprung, and new taproom hours are coming with it! Beginning April 16th we will be open on Tuesdays as well as staying open an hour later on Friday and Saturday. Cheers! 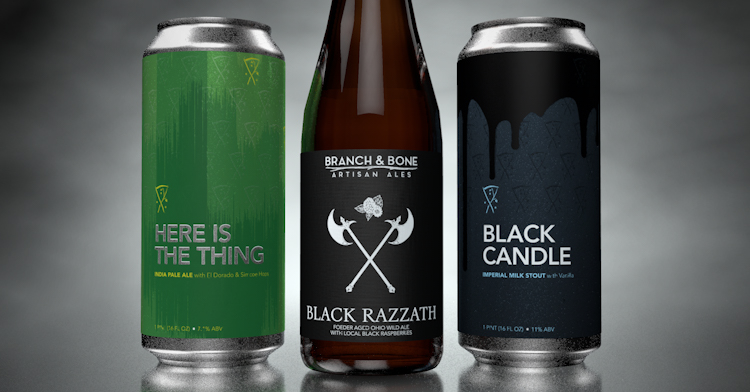 Join us Saturday March 16th for our next release as we unveil three new beers. Cosmic Slop - IPA and Citra Maze - DIPA in 16oz cans as well as our next mixed fermentation 500ml bottle, Cellar Song #1. Early in February, we asked the awesome women that make up the majority of our staff come into the brewhouse to help brew the beer that they designed and named for International Women's Day 2019. "Thanks, It Has Pockets" is a blackberry lavender wheat ale that will make its debut in the taproom on Friday March 8th. The beer will go on when we open at Noon. $1 from every full pour of this beer bought in our taproom will also go to the organization of their choosing, Artemis Center. The mission of this wonderful organization is "Leading the Community in Its Commitment to End Domestic Violence." The proceeds going to Artemis Center is not just for the event Friday, but for as long as the beer is available. So stop in while the beer lasts to support their cause. In June 1985, a small group of women, often working without pay, started Artemis House (now Artemis Center for Alternatives to Domestic Violence) to provide advocacy services beyond the traditional housing and safety offered by battered women’s shelters. For over three decades, Artemis has served more than 100,000 victims of domestic violence and their children, providing crisis intervention, safety planning, education, and emotional and material support. Artemis Center empowers victims of domestic violence to make decisions and choices that will allow them to achieve and maintain safety for themselves and their children. By working conjointly with other community resources, Artemis Center advocates are able to coordinate needed services for victims. Additionally, through collaboration with the justice, child welfare and healthcare systems, as well as other systems partners, and through community education and advocacy programs, Artemis has been instrumental in the development and implementation of community-wide best practice responses to domestic violence. Artemis relies on the generosity of individual donors, foundations, and corporate partners to continue providing programs and services free of charge to victims of domestic violence and their children. Join us in the taproom Friday March 1st as we welcome this month's featured artist Aric Rothman and his fine art photography. Come on in for a beer and to celebrate Aric as he showcases his artwork. His work will hang in the taproom for the month of March and will be available for purchase. Beers go live when we open at Noon. All of these are single kegs so when they kick, they are gone. Cheers! Join us Saturday January 12th for our next release as we unveil crowd favorite, Dimmer, and a new sour beer, Palace Walls in 16oz cans! It will also be our first bottle release as Visage, our wine barrel aged mixed fermentation saison with dandelion, will be for sale as well. This fruited version of our berliner-style weisse features loads of peach and pink guava. Tons of fruit character stands up to the assertive sourness of the beer making a very drinkable delight. Also on for the release will be our newest IPA, Test Press, brewed with all Ohio ingredients. The Ohio grown Chinook and Cascade create a flavor experience that is truly unique. Very melon forward aroma and taste that isn't present in any other hop combination we have tasted. We will also be debuting our beer brewed for the WinterFolk Festival as well as a live music performance preview from 7-10pm with a couple bands featured in this year's WinterFolk Festival at Yellow Cab Tavern on January 19th. The beer is Plaid Strings and is an English Brown Ale. The live performance in the taproom features OldNews and Biscuits & Gravy starting at 7pm. We hope to see everyone out for this very special occasion as releasing mixed-fermentation beers in bottles is something we are very passionate about. We look forward to sharing this experience with you all! Join us in the taproom Friday January 4th as we welcome our January featured Artist, Megan Fiely. Megan Fiely is a painter from our own neighborhood of South Park! She is excited to show a collection of new, never before displayed paintings at Branch and Bone this January, with the official opening and meet and greet this Friday, January 4. Megan's subject matter jumps from figurative to abstract, but always features bold colors and heavy texture. She is inspired by gardening, visiting with her many animal friends, and learning about outer space. These themes weave in and out of all her newest paintings. They are meant to inspire joy and whimsy. Come talk with Megan and buy some of her art this Friday! 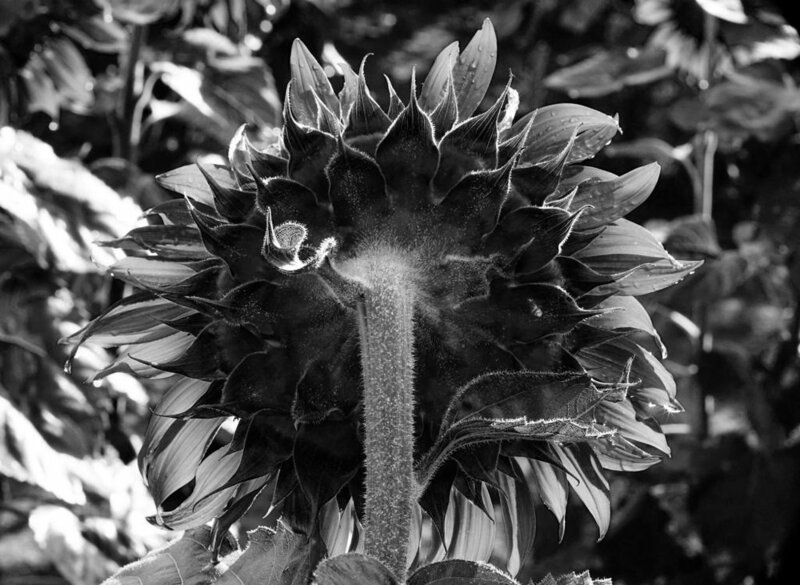 The collection features work of all sizes, including several small affordable pieces. She loves to tell the story behind every piece if you just ask. Join us in the taproom for some special holiday hours for New Years Eve. Stop in 12-8pm Monday the 31st for pours and growler fills to get your festivities going. We are closed as usual on Tuesday and will resume normal hours of operation on Wednesday January 2nd. Cheers! Join us in the taproom Saturday December 22nd for an all sour tap takeover event to get everyone ready for Christmas! The 12 Sour Beers of Christmas will feature all 12 taps pouring our sour beers and variants of them all day long (or until the kegs kick!). We will also have the hot sour setup running for a Gingerbread Hot Sour! Beers available while they last, expect some to go quick. Cheers! Join us Saturday December 15th for our next can release as we unveil a new Milkshake IPA, Bend Beyond, and a new sour beer, Seasonal Friend in 16oz cans! Both beers will be available on draft when we open at Noon. Cans go on sale at Noon as well. Limits will be set morning of the release based on turnout. We are a small brewery and put as much of these beers into cans as our system allows. The goal would be that anyone that arrives by Noon Saturday has the opportunity to buy something. Thanks for your understanding! Join us Saturday November 10th for our next can release as we unveil our IPA, On a Cloud and a new sour beer, New Harmony in 16oz cans! In addition to the cans being released Saturday, we have some special draft only offerings we will tap throughout the day. S&S Meat House will be on site serving food at 11am for anyone that gets here early. They will be serving up a special brunch menu created just for this event and will be here till 3pm or until sold out. You don’t wanna miss this one! Join us in the taproom on Halloween, October 31st, for an evening of tricks and treats as we unveil some exciting new beer. Come in a costume, or don't, but we will give out a prize for the best costume! We will be debuting our new 12.8% Imperial Oatmeal Stout, Elder Beast, as well as a handful of variants inspired by some of our favorite Halloween treats. We will also be starting with our cold weather staple, Hot Sour Beer! 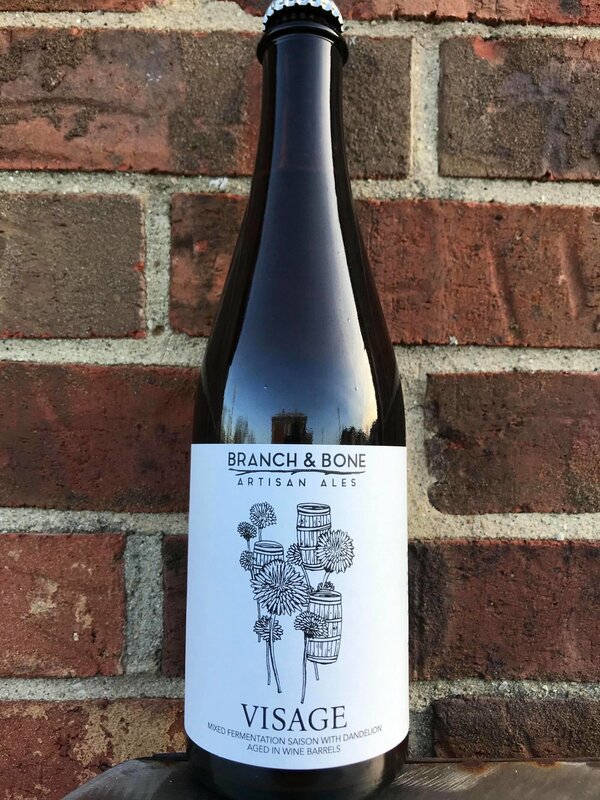 Think mulled wine or cider but with sour beer. We steep fruit and spices in our berliner weisse and heat it upon serving to create the perfect, warming treat for a fall or winter evening. Expect these sporadically during the winter months. Specific details to the beers will be released shortly, but go ahead and mark your calendars as you don't want to miss this!